Many of the daily tasks that everyone must do involve rubbish. Three times a day, you probably find yourself throwing something in the bin after eating a meal – it may be packaging or scraps. Paper or other office items and things like junk mail may also contribute to a significant amount of waste. Chances are your current curbside bin disposal service is taking care of all this (except when you forget to put your bin out!). Sometimes, however, there are other items that aren't really meant to go in the wheelie bin – sadly your old fridge probably won’t fit! There are times when you need to get rid of a bit of extra junk and you need to find the easiest and most affordable way of disposing of it all. 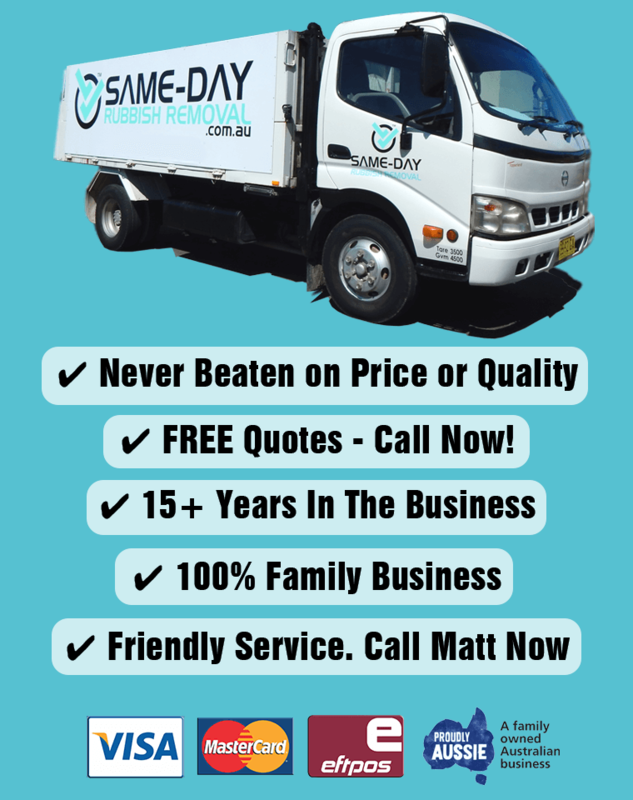 Same-Day Rubbish Removal offers the best price and service on waste removal in Ryde and Sydney's Northern Suburbs. 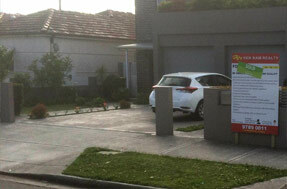 Call us now on 0402 737 064 if you’d like your garbage problems disposed of. 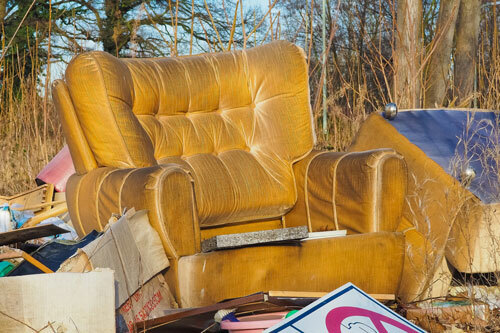 With over 12 years of experience removing waste from Sydney homes and businesses, Same-Day Rubbish Removal have refined their process to offer you the best service, while not costing you an arm and a leg like many other services. Our simplified service means that the whole process is easier for you, we do all the work, you just have to direct us as to what to take away. There’s no too hard for our friendly team, they can handle any large items that need to go, common items include old fridges, freezers, washing machines, dryers, couches, furniture, etc. You may have material and other scraps left over from a recent home renovation or a shed full of old items that haven’t been used in years, either job is no trouble for us. We even offer commercial junk removal services such as office clean ups or building sites. We are ready to help solve whatever your garbage problem may be. The friendly team at Same-Day Rubbish Removal are willing to help more than Ryde residents. We service all Northern Suburbs around Ryde, including Gladesville, Eastwood and Epping, as well as jobs right down in Sydney's CBD and surrounding suburbs. All care is taken in making sure you are 100% satisfied with our service, we don’t leave until your home or business is looking spotless. We also take care to make sure that your rubbish is disposed of in the most responsible way possible, whether it be recycled, or taken to the correct disposal location. 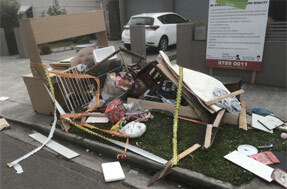 If you’re ready to remove that growing pile of garbage, give our friendly team a call on 0402 737 064 today.